T10 League, the world’s first 10-over international professional cricket league that is licensed by Emirates Cricket Board (ECB), has appointed Sony Pictures Networks as their broadcast partners for South Asia, Middle East and North Africa for three years from its Second Season that takes place from November 21 till December 2, 2018. The T10 League matches will be telecast live through Sony ESPN and Sony ESPN HD in India, Ten Sports in Pakistan, Ten Cricket in Middle East and North Africa. It will also be streamed on SonyLIV. “We are delighted to have Sony Pictures Networks as our broadcast partners for Indian Sub-continent and Middle East and North Africa from 2018 edition for three years,” said Shaji Ul Mulk, Chairman of T10 League. “This allows us to take the league to a much-wider audience across the region and help us promote the format and grow year-on-year. Rajesh Kaul, Chief Revenue Officer, distribution and head – Sports and Business at Sony Pictures Networks, said, “We are committed to providing an unparalleled sports viewing experience to sports fans in India. The T10 League has already captured the interest of viewers because of its fast-paced format. This year, two teams – The Karachians and Northern Warriors – have been added to the list of the earlier six teams. This will expand the support and fan base of the T10 League. Eight teams – Kerala Kings, Punjab Legends, Maratha Arabians, Bengal Tigers, The Karachians, Rajputs, Northern Warriors and Pakhtoons – have been drawn in to two groups to fight it out in the 2nd Season of T10 League – that takes place at the Sharjah Cricket Stadium from November 21 to December 2, 2018. The T10 League is live telecast in the GCC, India, Pakistan, Bangladesh, the United Kingdom and the United States – followed by millions of fans – watching the actions of some of the most popular cricket stars, such as Shane Watson, Shahid Afridi, Eoin Morgan, Rasheed Khan, Shoeb Malik, Sunil Narine, Darren Sammy, among many others. Sony Pictures Networks (SPN), a subsidiary of Sony Corporation, was formed only to run its television broadcasting business. But since then, it has been diversified. The group includes SPN Productions and SPN Distribution as subsidiaries. The company is responsible of managing Sony’s television channels division in India, such as SET, Sony Ten, AXN and its sister networks. It was founded in India in October 1995 as Multi Screen Media. Sony entered into the Indian sports TV market in 2002 after acquiring the licence rights for ICC matches from 2003 to 2007, which were broadcast on SET and Sony Max. In 2008, along with Singapore-based World Sport Group, it won the broadcast rights for Indian Premier League (IPL) matches for 10 years for more than US$1 billion. In April 2012, it launched its first sports channel Sony Six. In October 2015, it partnered with ESPN to launch another sports channel, named Sony ESPN. On 31 August 2016, it acquired the Ten Sports networks from Zee Entertainment Enterprises for a deal worth US$385 million (Dh1.4 billion). SPN reported an increase of Rs978.691 crore (Dhs 488 million) in revenue from operations from the year 2016. Revenue from operations in FY 2017 was Dhs 2.48 billion compared to previous year, which was Dhs 1.99 billion. 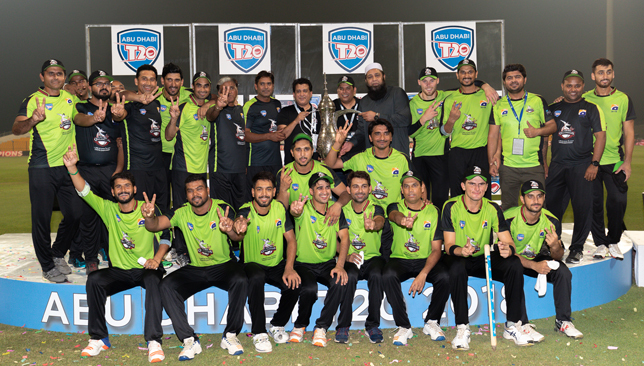 Organisers of the Abu Dhabi T20 are hoping to invite champions Lahore Qalandars to defend their title in next season’s competition. The Pakistan Super League franchise defeated South Africa’s Multiply Titans by 15 runs earlier this month to reign supreme in the inaugural tournament. Although it’s been a fortnight since Qalandars lifted the title at Sheikh Zayed Stadium, Abu Dhabi Cricket’s acting CEO Matt Boucher said it ‘would be a nice touch to invite the champions back’. “We haven’t made that decision. However, saying that, we anticipate it would involve the champions of year one. That would be a very nice touch to invite the champions back,” he said. As well as Qalandars and Titans, the event attracted England’s Yorkshire Vikings, Big Bash League’s Hobart Hurricanes, Afghanistan’s Boost Defenders and New Zealand’s Auckland Aces. That saw the likes of New Zealand’s batsman Colin Munro and ex-South African Albie Morkel in action during the three-day event. There could have been more high-profile names with organisers naming Chris Gayle, Tymal Mills and Yasir Shah among the stars that would feature when it was launched in June. But those players did not compete for their respective teams and Boucher said they will learn from this and ensure it does not happen again in the future. “We need better confidence that these players will participate,” he said. “We saw a number of those player contracts and that gave us a lot of confidence to announce them. We didn’t rush into those announcements. Sanath Jayasuriya is one of the all time greats. Sri Lanka legend Sanath Jayasuriya has been charged with two counts of breaching the International Cricket Council’s Anti-Corruption Code. Jayasuriya was the player of the tournament when Sri Lanka won the 1996 World Cup, the highlight of a stellar playing career which took in 110 Tests, 445 one-day internationals and 31 Twenty20s. The 49-year-old former Sri Lanka cricket chair of selectors has two weeks to respond to the charges which relate to “failure or refusal” to co-operate with an investigation carried out by the anti-corruption unit. He has also been charged with “obstructing or delaying any investigation that may be carried out by the ACU, including concealing, tampering with or destroying any documentation or other information that may be relevant to that investigation”. Jayasuriya, who served as Sri Lanka captain from 1999 to 2003, amassed 6,973 runs at an average of just over 40 in Tests, placing him behind only Kumar Sangakkara and Mahela Jayawardene in his country’s all-time list. A tally of 13,430 runs in ODIs is only bettered by India’s Sachin Tendulkar, Sangakkara and Australia’s Ricky Ponting, while a haul of 323 wickets ensured his place as one of the format’s finest all-rounders. His international career spanned four decades – from 1989 to 2011 – and he will be remembered most fondly for his pinch-hitting role at the top of the order which helped Sri Lanka clinch their first global trophy 22 years ago. As his playing career was winding down, he entered politics and served on the Sri Lankan parliament from 2010 to 2015, while he resigned as a member of the selection committee in August last year. It is unknown which fixtures the charges relate to, or if anyone else is involved. It was announced earlier this month that Alex Marshall, general manager of the anti-corruption unit, was overseeing a probe into potential corrupt practices over “serious allegations” in Sri Lanka. The matters under investigation are historical in nature and do not pertain to England’s tour but it was reported that both sides would be met by Marshall’s team prior to the ODI series, which started last week, to highlight the ongoing problems. “We are currently in Sri Lanka as part of our ongoing investigations into serious allegations of corruption in cricket in the country,” Marshall said a couple of weeks ago.